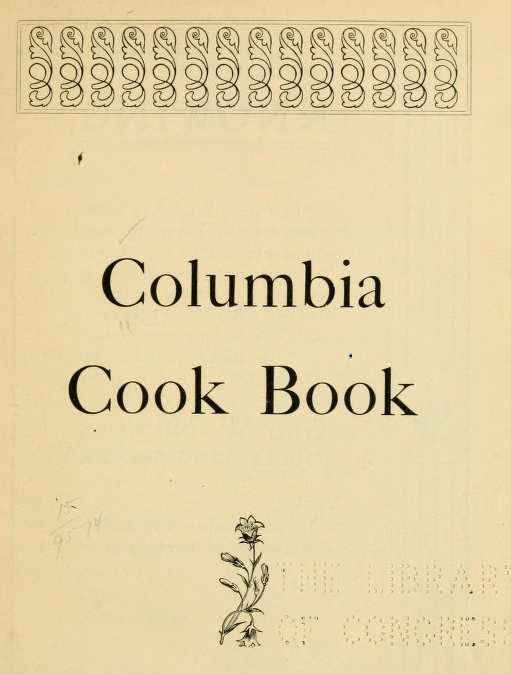 In my old first edition (1898), Columbia Cook Book, which was written by the Ladies Aid Society of the First Baptist Church of Colombia, Tennessee, there are some egg recipes that I have never come across in my quest for egg recipes. Eggs are discussed at great length in this compiled book. It was back in the day when every home had chickens in the yard. The recipes have been copied exactly as they were written in the cookbook. In old cookbooks the recipes were written by many different people, and not well edited, or formatted to list ingredients first, and then instructions. In some cases the wording is awkward, and who knows what they’re talking about. It’s a little odd to read, but the variation and scope of the use of eggs as a meal. Its interesting to revisit these old gems.. There are so many ways of cooking and dressing eggs that it seems unnecessary for the ordinary family to use only those that are most practical. The first point of importance is to see that your eggs are perfectly fresh by putting them in a pan of water, and if fresh they will sink immediately, or float if doubtful. Or, hold them before a strong light, and if the yolk appears round and the white surrounding clear, the chances are that it is good. Eggs are highly nutritious, pleasing to the palate, and easy of digestion, and are said to contain all that which is required for the sustenance of the human body. So that they should form part of the daily bill of fare for every family. The fresher eggs are, the more wholesome, although new-laid eggs require to be cooked longer than others. Eggs over a week old will do to fry, but not to boil. Do not mix eggs in a tin: always use earthenware. The best and safest plan to feel assured of the freshness of an egg before using is to break each egg into a saucer before cooking, for if one egg is slightly tainted, it will leven the whole. The fresher laid the eggs are the better. Put them in boiling water; if you like the white set, about two minutes’ boiling is enough. A new-laid egg will take three minutes if you wish the yolk set. To boil hard for salads or made dishes will take ten minutes. Break as many eggs in a buttered pie-dish as it will hold without crowding each others. Sprinkle with pepper and salt, and put a bit of butter on each. Have ready a cup of hot milk in which has been cooked for one minute a teaspoon of corn-starch, or better yet arrowroot wet up with cold water. Pour this, a spoonful at a time, about the raw eggs, and bake it in a quick oven until the eggs are fairly set. Five minutes should do it. Send to table at once in the pie-plate. Soak a cupful of bread-crumbs in a half a cupful of hot milk for twenty minutes, stir in a teaspoonful of butter, the yolk of an egg, a tablespoonful of grated cheese, two tablespoonfuls of savory broth, a little minced onion, and a teaspoonful of minced parsley. Pour the mixture into a neat pie-plate, and set, covered in a quick oven. In six minutes lift the cover, break as many eggs on the bubbling surface as the dish will hold, sift the fine crumbs on top and leave in the oven for three minutes longer. Serve in the dish. Boil for fifteen minute, throw at once into cold water, and let them lie there for the same time. Peel, cut each in half length-wise; extract the yolks and rub smooth with a teaspoonful of anchovy paste, a little made mustard, and the tiniest suspicion of cayenne. Mold this pasty mixture into balls of the same shape and size as the yolks, put them into the cavities left in the halved whites, fasten them in place by tying firmly with cotton twine when you have skewered them together with wooden toothpicks, once through each bisected egg. Have ready in a sauce-pan a good cupful of drawn butter (drawn with milk, not water), season with pepper, salt, and minced parsley. Lay the eggs in carefully; set the sauce-pan covered in boiling water, and cook gently, keeping the water outside at a slow boil for ten minutes. Arranges the eggs in a pile on a heated platter, and pour the sauce over them. Whip the whites of the eggs very stiff. Lay great spoonfuls of the standing froth on a platter that will stand the oven heat. With the back of a tablespoon make a hollow in the middle of each heap, and put a raw yolk in it. Set in the oven until the meringue begins to color faintly, sprinkle with pepper and salt, lay a bit of butter on each egg, and serve in the platter in which they were baked. Four eggs, two ounces of butter, two tablespoonfuls of cream, a little grated tongue, pepper, and salt to taste, pieces of buttered toast. Break four eggs into a basin, and beat them well; but two ounces of butter and two tablespoonfuls of cream into a saucepan; add a little grated tongue, pepper and salt to taste; when quite hot add the eggs, stir until nearly set, then spread the mixture on pieces of buttered toast and serve.